I am glad I am starting to write about what we got up to during our trip to Florida. You can read my earlier post about Gatorland but another attraction we thoroughly enjoyed as a family was the Crayola Experience. Based at the Florida Mall the Crayola Experience was a fun attraction to visit. My boys were 9 and 10 when we were there, and they had a whale of a time. They enjoyed the opportunity to be creative. So many different activities you can do here. It’s very interactive and hand’s on! Plenty of chances to colour in and see your art come to life! You are given a few tokens when you enter the attraction and you can use these to label your very own crayon or buy some dough to model. It was quite relaxing being here. Not rushing just taking our time. We spent about 21.99 dollars each to visit the attraction. But we did get quite a few hours entertainment for the price. For me it was more about doing something different to the theme parks. We spent most of our time at Disney or Universal, so I enjoyed having a little breather to catch our breath and not rush from ride to ride. 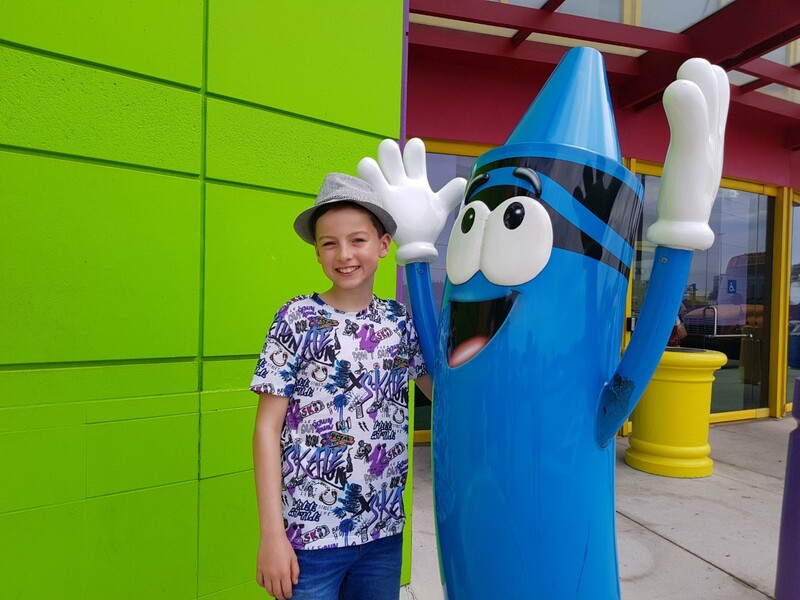 The Crayola attraction have used technology effectively in some of the activities, so you can see your artwork moving on big screens. It’s very effective, but I am glad that they have chosen to keep a good mixture of activities that require no technology too! I don’t like my boys spending the whole time at an attraction glued to screens. The Crayon Factory Show was very interesting, and we learnt so much about how crayons are made! The boys were in their element listening to it and seeing the real factory equipment used in the process of making crayons. One of their favourite parts was the Adventure Lab, you are given your own screen and you must solve a few challenges before the time runs out! We started watching a stage show in the café but unfortunately the fire alarm went off and the building had to be cleared! It was quite a while before we could re-enter the building but as we hadn’t managed to get around everything we waited until we could head back inside. When we finally left we were laden down with all the things the boys had created! The drip art was a lovely original piece of artwork that they relished making! Then even had some colouring sheets they had printed with their faces on much to their amusement. Afterwards you’re in a good spot for some shopping being at the mall! One of our highlights from our Florida trip in May was visiting Gatorland. 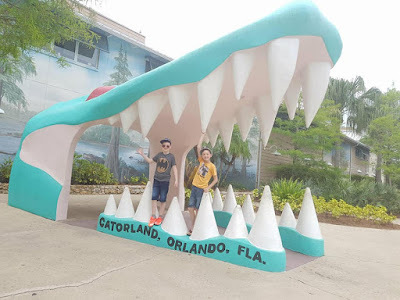 I went myself when I was a child and remember it being a good experience so was keen to introduce the boys to Gatorland. The theme parks are amazing but so very busy, heading to Gatorland was a welcome break from the crowds. I would recommend a visit if you happen to be in the area. 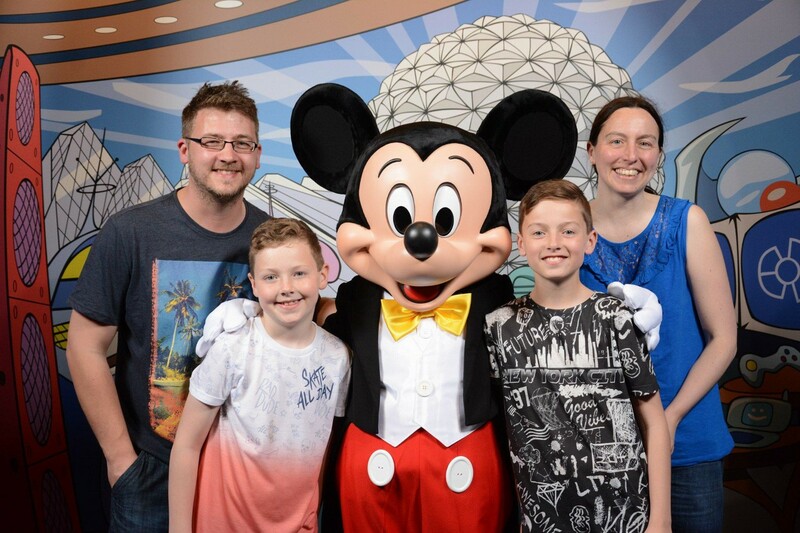 We were very lucky and had such cheap tickets after booking our Disney and Universal combo tickets. So, I think it cost us something like £8 each to go to Gatorland. For that price you certainly can’t grumble! Do check with the ticket sites to see if they have any bargains when your buying your more expensive theme park tickets. The boys loved seeing all the gators and the shows they put on are very good. We watched the Gator Jumparoo Show, Gator Wrestlin’ Show and most of Up Close Encounters. We arrived at Gatorland as it opened and stayed until about 4pm. 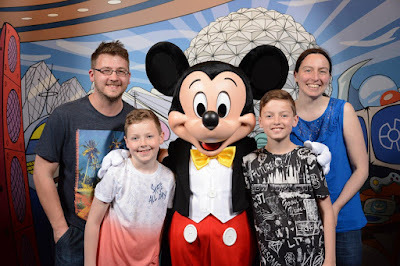 It was nice having a shorter day especially as it was only our second day in Florida and we wanted to ease ourselves into the pace required for the theme parks! The best bit at Gatorland was buying a seed popsicle and feeding the budgies. I think it was 5 dollars for three seed popsicles. The boys were delighted when budgies were flying over to have some seed. Landing all over them and sitting happily on their heads! It is such a memorable experience. We paid a lot to do the Stompin Gator Off Road Adventure. But it was such a hoot and something a little different! 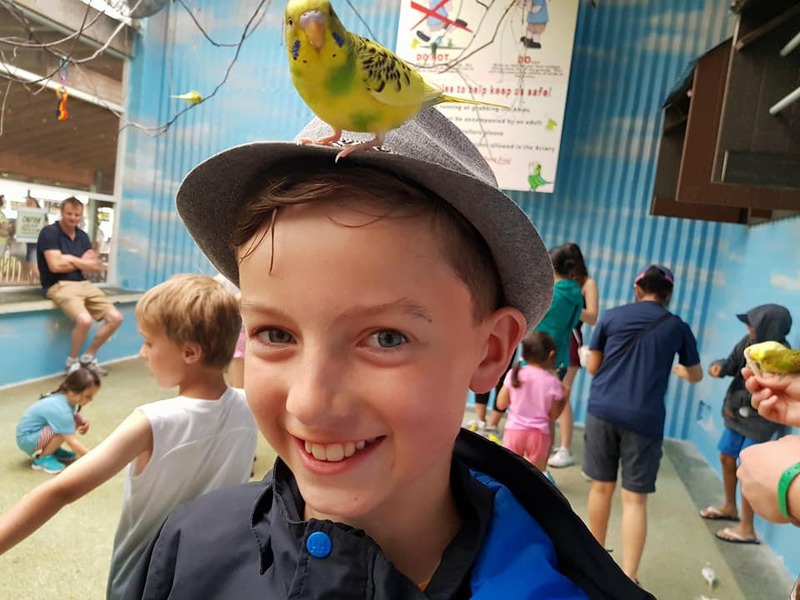 I think we could justify spending the money as it was an unforgettable experience, one the kids still talk fondly about. The custom-made monster truck was an exciting ride! The commentary on the way round is quite entertaining and you even get to go through a pool of gators at the end! Although this is only a small part of the experience. I did think that part would have been slightly longer as that is how it was pitched to us. Still I don’t regret spending the money booking it! This was lovely for the boys to cool off! We hadn't bought trunks but fortunately their was a well stocked shop close by! The lady in the shop was so friendly, very attentive and welcoming! But do bring swimming trunks with you to save money. The staff as a whole seemed to be nice in Gatorland! At one point my eldest got carried off jokingly to be gator food! He did laugh! 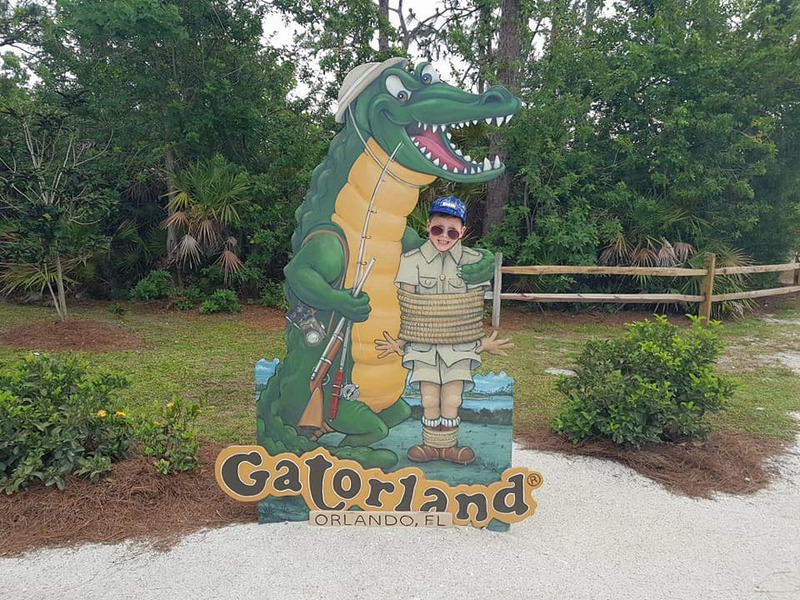 Don't forget to get a picture in the famous Gatorland jaws! I feel so guilty having neglected this blog for so long. Yes, I have been busy with Missing Sleep but still it’s no excuse. I need to save some energy to keep Reluctant Traveller going! Especially as we have travel plans to make now we have booked to go to Dubai! I think I am a bit of a theme park junky as I love discovering new ones. Apparently, the ones in Dubai have shorter queues than Disney so I am keeping my fingers crossed that it’s still true! But first I should really have told you about our Florida trip! Back in October I told you guys I had booked it but then never told you how we got on! May finally came around and we set off on the trip of a lifetime! 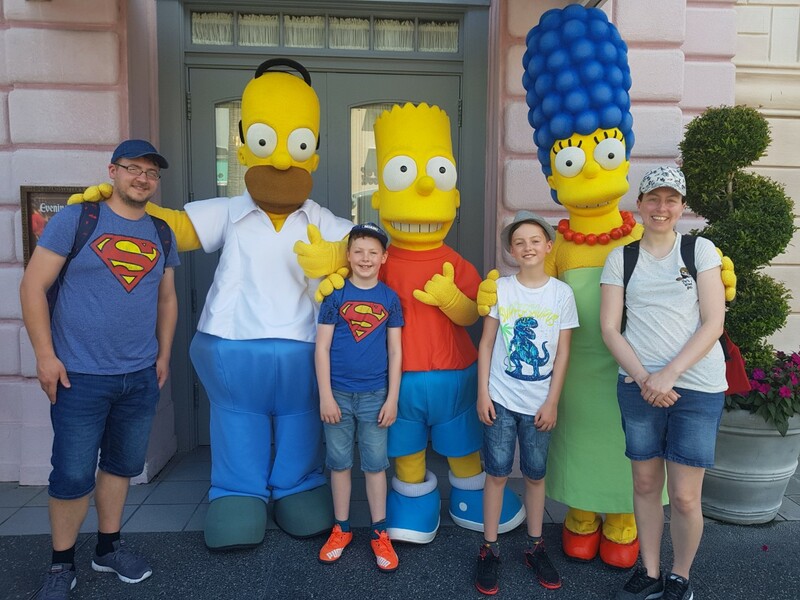 We spent £8k in total on food, spends, flights, transport, hotel and attraction tickets. So, all in I don’t think that was too bad considering we didn’t hold back on anything. We visited lots of attractions and ate out most of the time. We aren’t big spenders on shopping though, so I guess if you are a fan of the Malls that figure could soon increase dramatically! Our total shopping was a few bath products, a couple of t-shirts and some American sweets. I felt we got a lot out of our trip. But I do put that down to the planning! I painstakingly researched all the attractions to get the most out of them. For example, we booked a night in a Universal Hotel to get the benefit of the two day fast passes for the parks. This was such a treat then as it meant two days of minimal queuing! Although I would say Universal seems quieter than Disney parks. As we came back a third day without fast passes and some of the queues were bearable. But not all of them! We got so much more out of our days with those fast passes and better seats in the shows too! We did all the Disney parks. I would have liked to have had the energy to stay longer into the evenings but walking in the parks is exhausting! We covered 130 miles over our 15-night stay. If I returned I think some days I would go to the parks later, so we could watch the evening shows. I guess as much research as you do you only learn the best way of doing things when you do the parks yourself! I do feel we managed to cover a lot of rides and shows. The only park I would have liked a second day at was Hollywood Studio’s. There were a couple of things we missed, and I just didn’t have the energy to stay longer the one day we had allocated the park. I will do a more in-depth post into what we got up to in each of the parks. I just wanted you guys to know Reluctant Traveller is back to normal!